On the road up the eastern side of Carrowmore Lake. 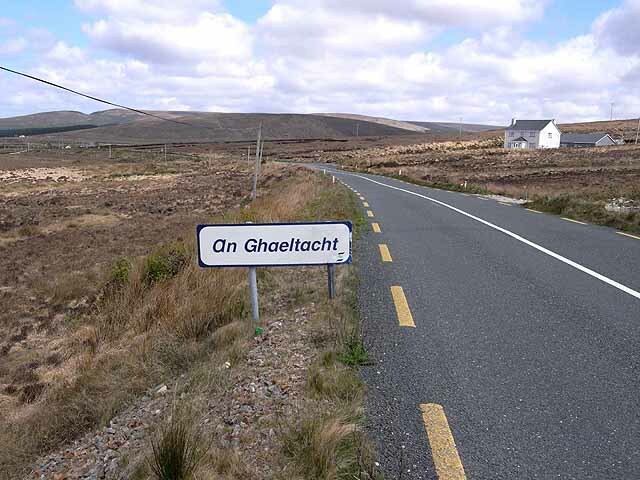 The Gaeltacht consists of a number of areas scattered throughout the Irish Republic where the Irish Gaelic language is the predominant language and is afforded special status. The Gaeltacht was created in 1926, but the boundaries were not formally defined until 1956 by which time the areas in which Gaelic was the predominant language had dramatically declined. The Mayo Gaeltacht is fragmented into three separate districts, of which the north-west part of Erris (seen here) is one.